Ballerina Birdies is a lively presentation of young birds dancing ballet. Training begins as soon as they leave the nest. Parrot feels better when he dances, Little Quail prefers water ballet, and the ducklings thoroughly enjoy the performance! 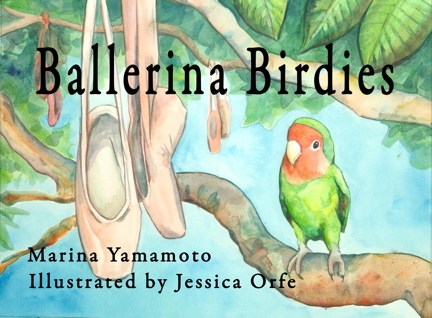 A poetic and educational work that introduces some basic ballet terminology, Ballerina Birdies encourages stick-to-it-ness and sincere effort. A fun book for toddlers to tweens. The fourth in Savant's multi-award-winning "COLOR-ME-PLEASE" Children's books series, the first being A WHALE'S TALE by Daniel S. Janik, the second, MYTHICAL VOYAGE by Robin Ymer, and the third, THE TURTLE DANCES by Daniel S. Janik.